CAN OFFER FOR CHARTER A 49 METER GRP EX BELGIAN NAVY PATROL BOAT NOW IN PRIVATE HANDS AND NEARING COMPLETION OF AN EXTENSIVE REFIT. MEDITERRANEAN BASED SHE WILL BE AVAILABLE FOR CHARTER SPRING 2018. 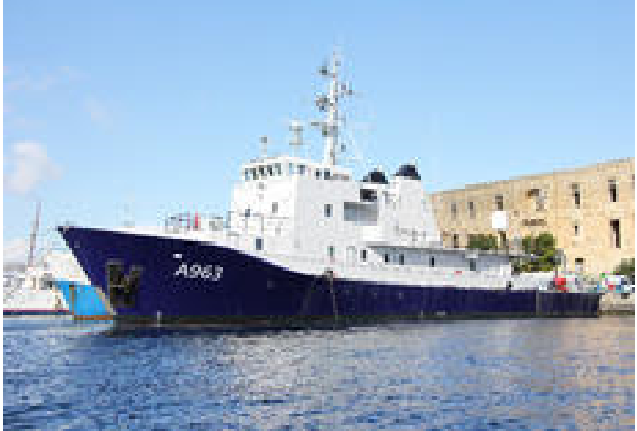 Our ref JHA 1168 is powerful ex-Belgian Navy vessel.. A commercially coded vessel, measuring 49.2 meters, the vessel has the ability to provide accommodation for up to 40 personnel. Constructed from explosion proof GRP sandwich and with a top speed of 18.5kn. the vessel has an endurance of 392 hrs and range of over 5,000 nm. Air conditioned accommodation: current layout for 40 but in the process of being refitted and updated to accommodate less personnel, probably 15 – 20 persons.